When you need advanced dental care, VL Dental has got you covered. With our restorative dentistry services, we can help you reclaim good health and well-being in a modern, relaxing environment. Whether you need to replace one or more teeth, or you need to treat a decayed or infected tooth, our Richmond, TX dental team has the tools and the expertise you’re looking for. During a special consultation exam, we’ll assess your smile and craft a personalized treatment plan based on your specific needs. 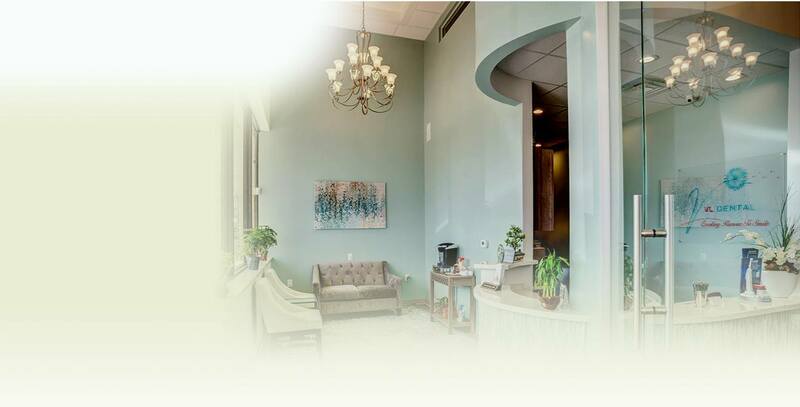 We treat our patients with the highest level of care, skill and comfort, and we are dedicated to enhancing the lives of our patients by restoring their smile esthetics and function. If you have a chipped, broken, or badly decayed tooth, a dental crown can help you strengthen it and improve its appearance. Your crown will be custom-made in a dental lab according to a very specific design by one of our dentists. Because of our commitment to providing our patients with natural-looking results, we’re proud to offer all-ceramic restorations. Crowns made from ceramic realistically mimic the look of natural enamel, for beautiful, solid results. Dental crowns are also an instrumental part of another service, known as a bridge. If your smile has a gap because of a missing tooth, a bridge will help you replace what you’ve lost. Dental bridges are anchored by dental crowns that are placed over the teeth on either side of your gap. With your custom-made dental bridge in place, you can look forward to enjoying improved functionality and appearance. To learn more about either crowns or bridges, don’t hesitate to give our Richmond, TX dental office a call. Our team would be more than happy to reserve a consultation appointment for you. 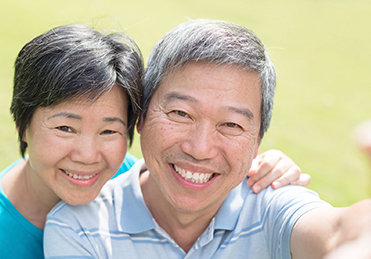 During your visit, we can answer your questions about crowns and bridges, in addition to explaining the treatment process in greater detail. Every tooth has three layers: an outer protective layer of enamel, a secondary layer of sensitive dentin, and an inner chamber containing the pulpy material that makes up the tooth’s nerve. A common dental problem like tooth decay typically affects just the outer layer of enamel, but sometimes bacteria can penetrate the surface of your tooth and cause an infection to develop inside it. When this happens, a root canal procedure will help you remove the infection and save your tooth. If you’re struggling with a severe toothache or sensitivity to hot and cold foods and drinks, our VL Dental team would be happy to assess your tooth to determine if a root canal is necessary. If it is, we can complete your procedure comfortably during just a single visit to our dental office in Richmond, TX. We always offer the most up to date methods to complete dental care procedures, and we focus on improved comfort for patients undergoing root canal therapy. The treatment is completed using a range of other modern tools, we’ll remove all traces of infection from the interior of your tooth, fill it, and attach a crown to improve its strength and appearance. If you have questions about root canal therapy or the symptoms associated with an infected tooth, don’t hesitate to call VL Dental and schedule a consultation visit. VL Dental is located in Richmond, TX and provides exceptional restorative dentistry to patients from Pecan Grove, Sugar Land, Rosenberg, Crabb, Booth, and beyond. Call us today to schedule an appointment. We look forward to serving you!